There’s a new, cloud-friendly version of Microsoft Office in town. Perhaps more importantly, though, there’s a new and potentially less painful way to pay for Office: with a subscription fee. Meet Office 365 Home Premium, Microsoft’s bid to get a fresh copy of Office on each of your home PCs—and no, it won’t cost you a king’s ransom, or at least not on Day One. Now, instead of coughing up $100-plus for a single box of Office CDs, you can buy an annual or even month-to-month Office 365 subscription, good for multiple, downloadable copies of Office on your PCs and Macs. Office 365 (which has been available for business users for about a year now) could make for a relatively cheap, hassle-free way to dip into the latest versions of Office—provided you’re ready to deal with the new Office, that is. For Windows users, that means Office 13, a thorough revamp of the venerable office suite that boasts scores of new features—from an easy-on-the-eyes “Read Mode” in Microsoft Word to “Flash Fill” (which supposedly “learns and recognizes” your work and “auto-completes” the data in a given cell) in Excel. Get ready for the shock of the new when it comes to Office 13. Office 13 also makes heavy use of “SkyDrive,” Microsoft’s answer to such cloud-based data lockers like Dropbox and Google Drive. Once you log in to your Microsoft account, you can use SkyDrive to open, edit, or even share your Office documents from anywhere, with anyone. Last but not least, Office 13 has been optimized for use with touchscreen tablets and PCs. 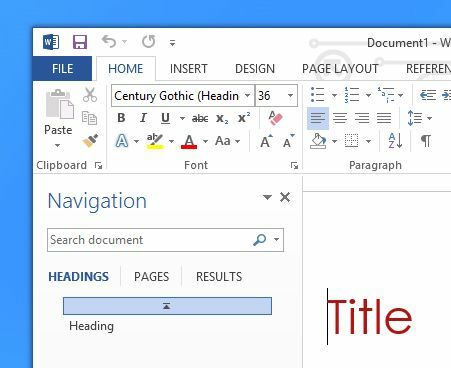 Be warned, though: if you’re still using Office 2003 or (gulp) Office XP, prepare for a shock once you take your first glimpse of Office 13’s heavily redesigned “ribbon” interface. You get used to the so-called “ribbon” (which sits along the top of the screen and contains dozens of font, formatting, formula, and other tools and buttons) eventually, of course, but it takes a little getting used to. Mac users, meanwhile, get Office: Mac 2011, a slightly older (but still “ribbonized”) version of Office that’s a little clunkier when it comes to SkyDrive sharing but still packs in a bewildering number of features. A $99 annual Office 365 subscription gets you access to Office 13 or Office: Mac 2011—or, if you’d rather pay a little less up front, you can (as I did) opt for a $9.99/month subscription. There’s even a free 30-day trial for those who’d rather look before they leap; you can snag it right here. Not bad, considering that you could essentially get the new Office immediately for as little as $10 up-front. Over time, of course, you may end up paying more than you would for a single, retail copy of Office, especially if you don’t need such bells and whistles as Microsoft Publisher and Access (which are included in an Office 365 Home subscription, but not in the cheaper, sub-$399 Office stand-alone editions). 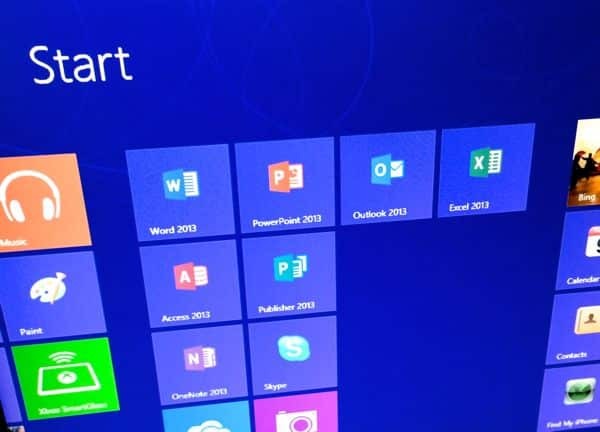 One of the beauties of an Office 365 subscription is that it lets you install copies of Office on a generous number of systems—up to five PCs or Macs. With an Office 365 subscription, you can install Office on up to 5 PCs and Macs. 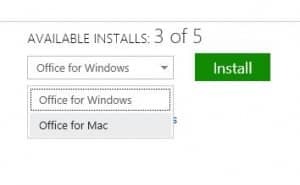 Once you’ve purchased a subscription, just log into your account, select either the PC or Mac version of Office, and click the Download button. Installing copies of Office on a Windows 8 PC and an iMac took me a little under an hour (including the software download over my cable modem), and the actual installation process involved only a handful of mouse clicks. 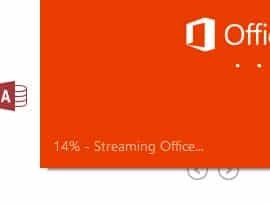 Your Office 365 account keeps track of how many Office installations you have left, and you can always deactivate a copy of Office on an old PC if you want to install Office on a new system. Not sitting at your home PC, but need to dive into Office? No problem. As an Office 365 subscriber, you can simply log into your account from any Windows 7 or 8 system and launch “Office on Demand,” a full version of the complete Microsoft Office suite that you can stream over the Web. Nice. You can stream the full version of Office over the web using any Windows 7 or 8 PC. Office on Demand is a noticeably slower than Office installed on a hard drive, and it demands a relatively speedy Internet connection. You’ll also need to download and install a small plug-in for your web browser. That said, Office on Demand makes for a great way to get the complete Office experience—including, of course, full access to the Office documents in your SkyDrive account—even when you’re not at your desk. OK, but what if you’re using an older Windows XP computer, or a Mac? In that case, you can try Office “Web Apps”—a bare-bones but peppy version of Office that offers basic editing tools in practically any web browser. Still rather just own a retail copy Office? You can, with the bare-bones “Home & Student” version of Office 13 going for $139 while a more robust “Home & Business” edition sells for $219. Also, keep in mind that the stand-alone versions of Office are only good for one PC each. Got questions about Office 365, or Office 13 in general? Post ’em below! Reader mail: Isn’t the “cloud” an easy target for hackers?